David and Victoria Beckham have decided to place “Beckingham Palace” up for sale after making the decision to fully settle down in L.A. 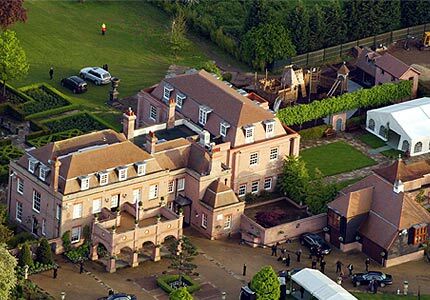 Located in Sawbridgeworth, Hertfordshire, the home was bought in 1999 for 3.87 million and is now going for a staggering 27.85 million! The palatial palace sits on 24 acres and has indoor and outdoor swimming pools, a petting zoo, recording studio, a snooker room, gym and state-of-the-art floodlit tennis courts. The garden boasts three gazebos in the lakeside and is decorated with romantic and ornamental themes, each costing $15,485. The garden also holds a 52ft garden pavilion with marble flooring that features a built-in 4ft barbecue grill costing $108,390. The Beckhams also own a $17 million home at Beverly Hills, a $3.1 million chateau in France and a chic apartment in Dubai.